In our outlook, the scrap plans are supported by opinions such as the students’ allowance having a strain on the health sector budget and that crushing it will take a huge burden off the shoulders of the state. Others also say the scrap will be a sieve to separate the Gentiles from the Jews by producing only committed health workers, who are not in the sector for the coins, but passionate service. Sincerely, these are assertions the least disputed about, the better. To those who are quick to compare us with other students or trainees – we would also, at the same speed hasten to task them to find out why the allowance scheme was designed for us in the first place. A fraction of people ignorantly squabble that nurses and co are no better than others, hence should rather be put on the Students Loan Scheme as well. These are judgments we see little reason to debate on, for we do not need to noise it in the ears of the world that the health service is a yeoman’s job, and requires outstanding efforts that are promoted by motivating factors such as what we are crying for. Whiles we are very circumspect not to compare ourselves with others, all we can yearn for is sheer fair, just treatment. On that note, we will continue to describe such statements made by some antagonists as unfortunate. In a recent publication, a purported consensus is reported to have been reached between the Ministry of Health and other stakeholders; which was to be presented to cabinet for approval. To this day, we are yet to hear from the Ministry, which has been tight-lipped for long, adding to our already-inflated frustration. Well, as to how many more discussions need to be opened and closed before a decision on the fate of the stipend will be reached and made known to us remain a mystery. Sadly, we have had to live with rumored rumors and in dilemma for two years. 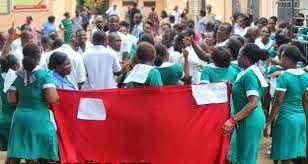 This is what has precipitated the Ghana Nurse and Midwife Trainees’ Association (GNMTA) to issue a month’s ultimatum to the government. Now, we have been able to read between the lines and taken note of the government’s hesitance in giving us our due. To be frank, the there-is-no-money cry has lasted more than we can bear. Moreover, we can no longer stomach the seeming everlasting reassurance, not backed by actions. We find it very dishearteninig that you appear not perturbed by our countless agitations, official pleas coupled with the unofficial confrontations. A batch of students who were admitted in 2012, pursuing two-year programs now have less than a month to complete their training without having seen light at the end of the tunnel. Yet this does not ring a bell. In this state of dead silence of the government on this matter, our only nightmare is the likely explosion of ‘No More Allowance!’ This we dread to think will happen, notwithstanding the uncountable calls and cautions. Having signed a Fellowship Awardees’ form indicating a five-year employment bond with the Government of Ghana to remain in its services, it is merely, legally and conventionally fair that your party performs its corresponding responsibility as stipulated. However, assuming that hard-to-swallow pill of a decision is been given to us and we are disappointingly denied of our benefit; your guess will be as good as ours will. It is obvious that the government is having a hard time at making release of the money; but it is more obvious that a lot more could be worse for the nation and us, than the scrapping of our allowances. In our closets, some impatient students fume, marking the delay and possible scrap as heartlessness. 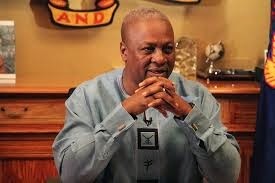 Nevertheless, some of us hope that having in mind an agenda to make Ghana a better place to be, you will not disappoint and consequently demoralize the public health officers, nurses, technical officers, oral health officers, physician assistants and what have you that the nation will soon depend on. We are again pleading with you to consider our ordeal and to treat this sensitive issue with empathy and discretion. Next story Herty Borngreat Is Abusing Facebook!